Lake of the Ozarks, Missouri (September 12, 2018) – Just in time to see the vibrant fall foliage, The Lodge of Four Seasons in Lake of the Ozarks, Missouri, is offering a last-minute fall travel deal – the September Sellout Sale. The September Sellout promotion offers rates as low as $99 per night Sunday through Thursday and $129 per night on Fridays and Saturdays – rates include tax and the resort fee. Lake of the Ozarks, Missouri was just nominated as one of “The Best Destination for Fall Foliage” by USA Today’s 10 Best Readers’ Choice awards. In addition to the September Sellout Sale, The Lodge of Four Seasons has added the September Sellout Sale PLUS option, which includes a $20 resort credit per night. The September Sellout PLUS promotion offers rates as low as $129 per night Sunday through Thursday and $149 per night on Fridays and Saturdays and are also inclusive of tax and the resort fee. Resort credits can be used for spa services at Spa Shiki, towards food at the resort’s five dining options and more. The September Sellout Sale is valid for stays through September 30, 2018 and is subject to availability. Rates must be prepaid, with full payment made at time of booking. There are no cancellations or changes allowed after booking. Valid for new reservations only and cannot be combined with any other offer. September Sellout Sale rates are only available by calling the resort directly or booking through the official website. Promotion excludes group bookings. For more information on the September Sellout Sale, visit www.4seasonsresort.com or call 888-265-5500. The Lodge of Four Seasons was founded in 1964 by Harold Koplar, father of current owner, Susan (Koplar) Brown and is regarded a major destination resort in Missouri and the Midwest. Set on 3,500 peaceful waterfront acres, The Lodge offers more than 60,000 square feet of meeting space, five unique dining experiences, four swimming pools, a full service marina and the nationally recognized Spa Shiki. The Lodge’s golf offerings include The Cove, an 18-hole, par-71 Robert Trent Jones, Sr. design and The Ridge, an 18-hole, par-72 Ken Kavanaugh layout. Headquartered in Scottsdale, Ariz., Troon is the world’s largest golf management company providing services at more than 360 locations around the globe, including 280 golf courses at 246 facilities. In addition to golf, Troon specializes in homeowner association management, private residence clubs, estate management and associated hospitality venues. Troon’s award-winning food and beverage division operates and manages more than 150 restaurants located at golf resorts, private clubs, daily fee golf courses and recreational facilities. With properties located in 35 states and 30 countries, divisions of Troon include Troon Golf, Honours Golf, Troon Privé (the private club operating division of Troon), Troon International and Cliff Drysdale Management. There are currently 60 Troon-affiliated properties featuring 80 golf courses on national and international “Top 100” rankings. Troon-affiliated properties include Bayside Resort Golf Club in Selbyville, Delaware; Kapalua on Maui, Hawaii; Mauna Lani Resort on the Kohala Coast on Hawaii; Pronghorn in Bend, Oregon; Lofoten Links in Norway; and Mollymook Golf Club in Australia. 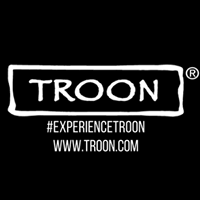 For additional news and information, visit www.Troon.com.